 You are met upon arrival at Denpasar airport after your flight from the UK and transferred to your hotel in Ubud. 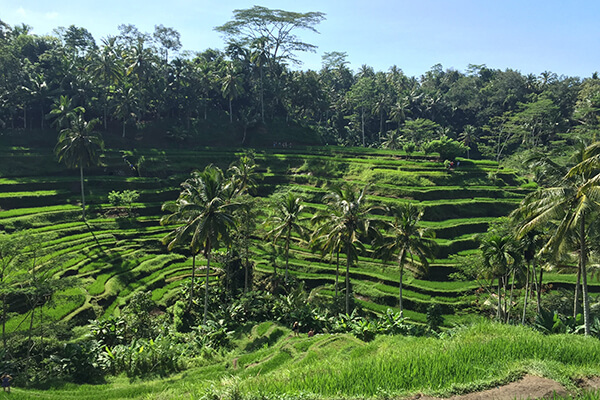 Today you travel to Subak Guliang, a traditional farming community with unique architecture, where you are served tea in the courtyard of one of these typically Balinese homes. You then take a stroll through the village and witness the rural life of the Balinese people. 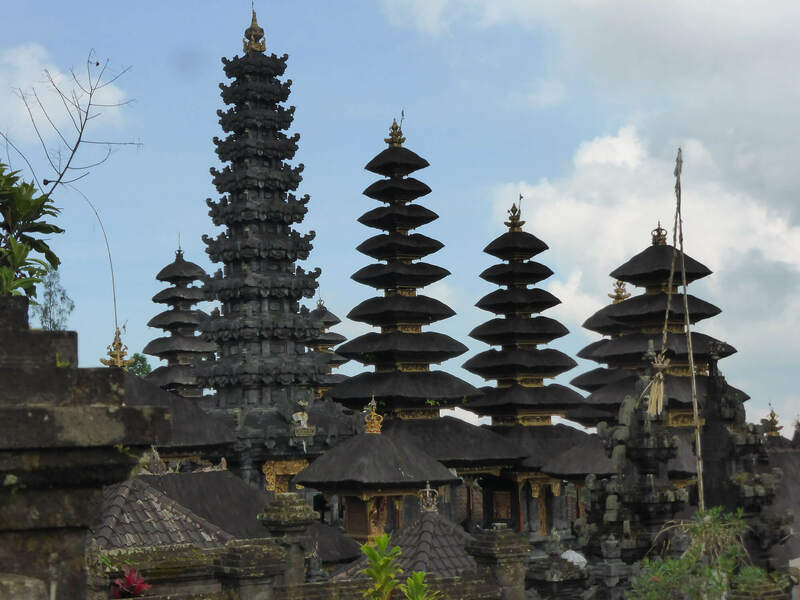 You continue to the 1,000 year-old Hindu Besakih temple, known as the ‘mother temple of Bali’. Situated at around 1,000 metres on the volcanic slopes of Mount Agung, the island’s largest mountain, Besakih is Bali’s most important temple comprising 23 individual but related temples. 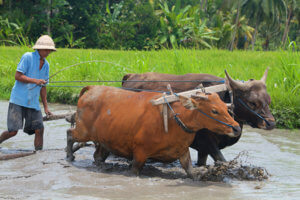 Lunch is taken at a local restaurant with commanding views of Mount Agung and the surrounding countryside before heading to the village of Tenganan, home of the Bali Aga, considered to be the original inhabitants of Bali. Today’s tour finishes with a visit to Klungkung Palace, also known as Puri Agung Semarapura where the Kertagosa Pavilion is one of the best-preserved parts of the palace and an excellent example of traditional Balinese architecture. 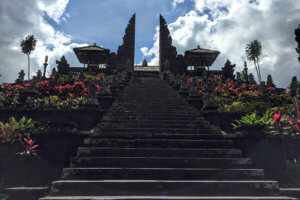 Today is spent around Ubud where you have the option to take part in morning activities of your choice. 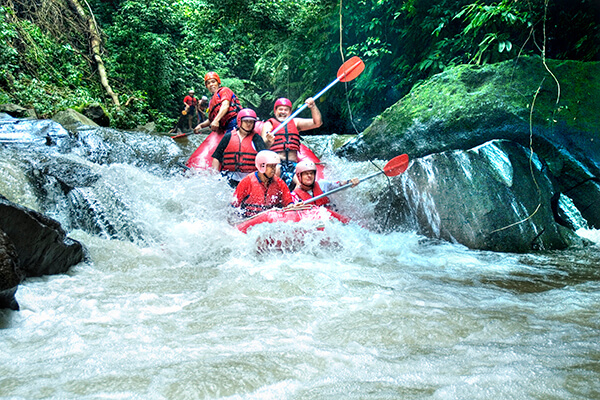 For example, experience the thrill of white-water rafting on the Ayung River where you can enjoy the picturesque scenery along the way and end the action-packed morning with a hot shower followed by a delicious buffet lunch overlooking majestic mountains and rice paddy fields. Or you can take a leisurely walk or take to the paths on a mountain bike. The rest of the day is at leisure. After a morning at leisure, you travel to the southern-most tip of Bali to visit the famous Uluwatu Temple, perched 70 metres on a steep cliff. 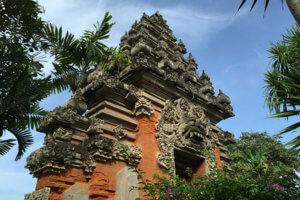 One of seven sea temples that are said to form a ‘chain’ around the island, it is undoubtedly one of the region’s most venerable places of worship. Here you may witness a traditional display of Kecak dance, which is regularly performed at Uluwatu. This ritual dance is based on an ancient story from the great Hindu epic, the Ramayana. 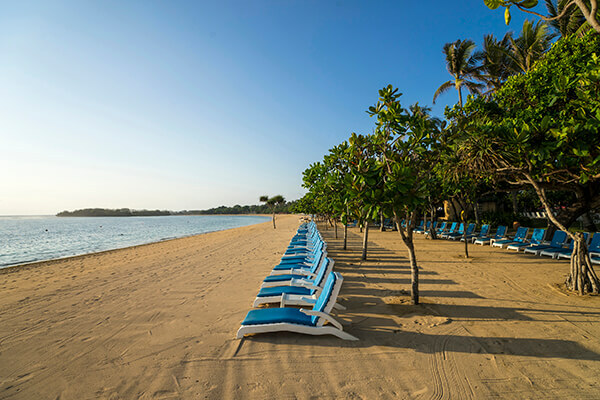 Your tour then takes you to the white sand beach at Jimbaran Bay where you can dine in the best seafood restaurants on the island. 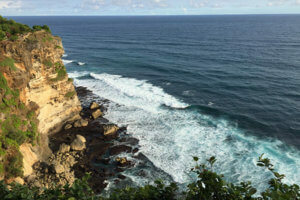 Later you continue to Nusa Dua and check in to your hotel. Day at leisure. 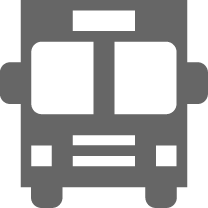 Optional excursions are available or take the opportunity to enjoy the beach or relax in the environs of your hotel. This morning you are transferred to the harbour at Benoa, where you are greeted with a welcome drink. 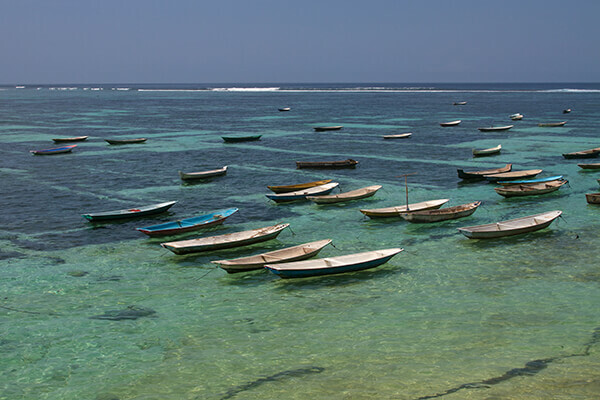 Then you join your fellow passengers and board a luxurious 27 metre motorised catamaran for the crossing to the tropical island of Nusa Lembongan. 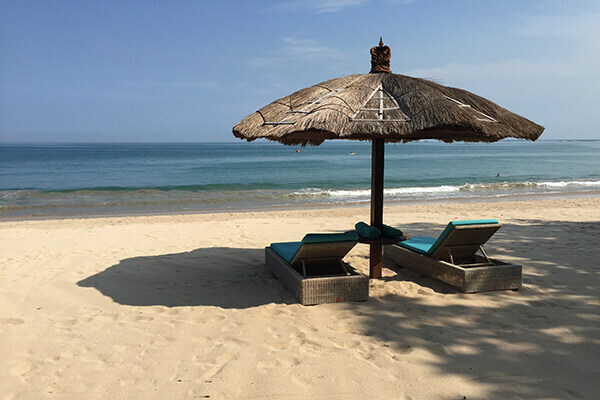 You drop anchor at Sanghyang Bay and transfer by tender to the The Anchorage, an attractively located beach club that will be your base for the day. 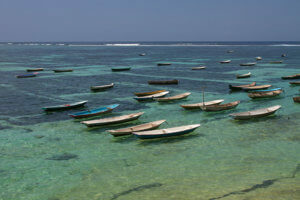 For the more active, snorkelling and reef viewing by glass bottom boat are both on offer. For an additional supplement (payable locally), further activities such as scuba diving and a guided tour of the island’s mangroves are also available. For lunch, a sumptuous BBQ buffet will be prepared then there is more leisure time until the mid afternoon when you return to the mainland and transfer back to your hotel. Day at leisure until it is time to transfer to the airport to catch your onward flight or extend to a stay at the beach.